Arrogant. A one word description that many use to depict Jose Mourinho. The self named 'special one' does indeed exude an aura of arrogance. Yet to term him as arrogant in a demeaning sense is to completely miss understand the man. For example, history portrays Muhammed Ali as a great and he is remembered as such. Many believed his outrageous claims and complete self belief stemmed from his arrogance. However, you would not question his position in sporting history and can he really be called arrogant if what he was saying was true? The same can be applied with Mourinho, although I admit he still has work to do to be as prominent a figure as Ali. The reason I compare the two is because of their personalities but more specifically their personalities in front of the media. Everything they do in front of the cameras is calculated and done for a particular reason, almost down to every syllable they utter. This is, perhaps, best displayed by Mourinho's opening press conference at Chelsea. One of the most famous quotes in the modern footballing world was said during this particular conference, "I am a special one". Could anyone really be so arrogant as to voice openly in front of the media that they truly believed themselves a cut above everyone else? I personally do not think so. Mourinho is a very clever man and, undeniably, a fantastic manager. As always, everything said or done is for a reason and this particular quote was no exception. Mourinho was demonstrating not only to the world, but to his new Chelsea players, that he was confident and believed in his abilities. He was then able to spread this confidence and belief throughout his squad. He made them believe, as he did, that they could win the English premier league. Moreover, through such speeches, Mourinho effectively told them that they would win it. He was telling the players, ‘Look, I’m the Special One, we don’t lose games’…coming to England, he is only a young man and saying he is the Special One! But what it did, it told all the players to have the belief they were going to win the league.” - Sir Alex Ferguson. Mourinho, arguably, is the beginning of a new era of football managers. He is a master tactician and has a great mental strength upon which his teams are built. Furthermore, he has the ability to make players play above their level and to create a brotherhood environment within his teams whereby, on the pitch (and quite possibly off it), each player would sacrifice themselves for the next player. An obsessive winning mentality is a defining trait of a Mourinho team and is evident in his Porto, Chelsea, Internazniole and Real Madrid teams. He never possessed great skill as a footballer and there were few who had heard his name before his managerial success with Porto which launched him onto the top footballing stage. Mourinho has a good tactical awareness and an intelligence of the game that many footballers do not have. Furthermore, his linguistic talents helped him land his first job as an interpreter for sir Bobby Robson at Sporting Lisbon, Porto and Barcelona. Mourinho is, perhaps, the first notably successful manager that learnt his art through studying rather than playing the game. It is becoming more common for managers to establish themselves having not had a celebrated playing career, the most recent being Mourinho’s former colleague: Andre Villas-Boas. “I would never think a guy who hasn’t played a game could be a top coach, but then you’ve got to look at his personality, I think his personality does it. He’s got a marvellous, strong personality and I think that bridges that gap.” - Sir Alex Ferguson. “Nowadays a coach has to be multi-faceted. He has to master a lot of areas. From planning to implementation, methodology and leadership.” - Jose Mourinho. 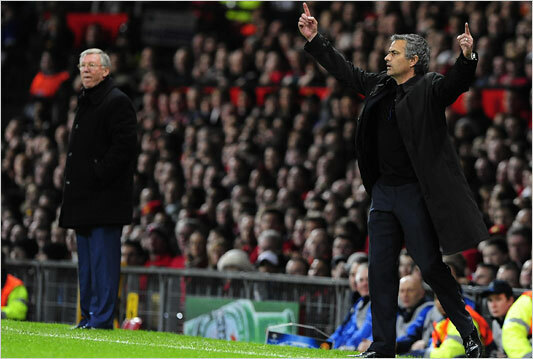 Many have criticised Mourinho for what they perceive to be 'negative tactics'. Apart from some of his controversial actions this, I believe, is the only area that people can find criticism of him. However, defence is just as much a part of football as attack. Take the Liverpool team of Bob Paisley, their success was built upon a solid defence as well as a lethal attack. If you do not concede then you cannot lose and this is the philosophy of Mourinho. Moreover, I don't see how you can criticise a tactic if there's a positive outcome from it. His Chelsea side were criticised for being too industrious, they were actually being criticised for getting results. His Inter Milan team in 2010 were accused by Barcelona of playing 'anti-football'. However, in the Champions League semi final against Barcelona they scored three goals in the first leg which cannot be achieved by playing 90 minutes of 'anti-football'. (Although in the second leg Inter did all they could to hang on to the result and Mourinho himself stated that they did not park the bus, but parked the plane instead). However, in a game where the Champions League final was the prize, to be able to nullify Barcelona at Camp Nou and prevail was nothing short of a masterstroke. Furthermore, they would go on to win the treble that season (winning the Serie A crown, the Champions League and the Coppa Italia) and that sought of success cannot be criticised by remarks of unattractive football. “I don’t say we are a defensive team. I say we are a strong team in defensive terms” - Mourinho. What is more, last season with Real Madrid, Mourinho broke the record for the most number of points attained in a La Liga season and the team broke the record for the greatest goal difference in a La Liga season. This is an enormous accomplishment, especially when you consider they were facing Pep Guardiola's Barcelona side, which is one of the best footballing teams in the history of the game. In addition, such success no longer heralded criticisms of negative tactics. So the one criticism people had of Mourinho had now been taken from them in the form of his free scoring blancos. 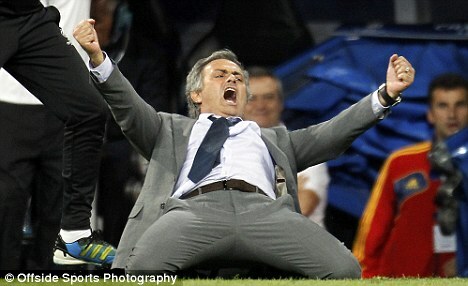 However, recent reports of turmoil and a struggling Real Madrid side have cast Mourinho into the limelight once more. We do not really know what is happening behind the scenes at the Santiago Bernabeu but it appears that Mourinho is struggling not only to get results, but to maintain the backing of his players. It is not the first time that we have seen Mourinho in trouble, trying to inspire an underperforming team whilst speculation about his job security mounts. But this season could be a defining one for Mourinho, it could potentially be the first season without a trophy for him. Despite this, Mourinho has proven to guarantee success at a club. He has an immediate impact and this puts pressure on other managers in the leagues in which he has managed. Owners are more willing to sack their managers if they do not meet their clubs targets quickly enough. They can tell them that Mourinho got instant results so why can’t they? What is more, Mourinho left Internazionale as a treble winner and Rafael Benitez was installed as manager. Benitez lasted six months at Milan before he was moved on due to poor results in the league with that same team. Mourinho is on course to become the most decorated manager of all time (if he carries on at his current success rate and manages until his planned retirement age). 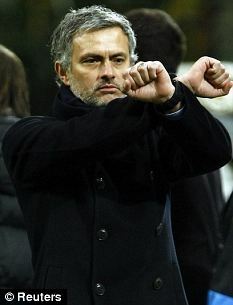 I still believe the Special One has what it takes to truly be the special one. “That’s incredible (his trophy haul). How old is he now? Fiftieth year. So he is 20 years behind me. At the same rate he is going to add another 42 trophies. At the current rate, (that is) amazing isn’t it?” - Sir Alex Ferguson.